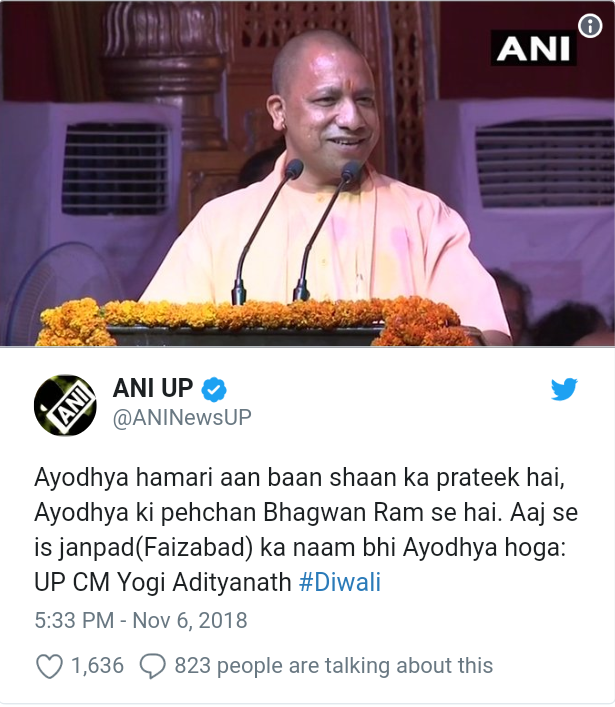 Home India Faizabad is now Ayodhya : Yogi Adityanath! 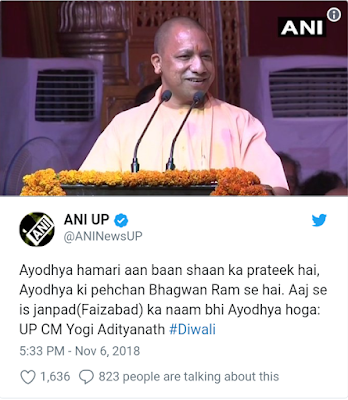 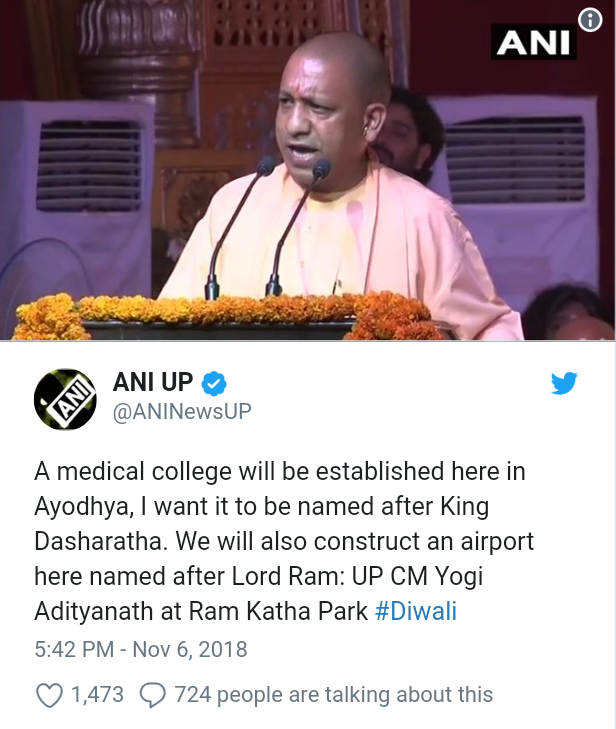 Uttar Pradesh Chief Minister Yogi Adityanath has said that soon after Allahabad's name was changed to Prayag Raj, Faizabad was renamed as Ayodhya. 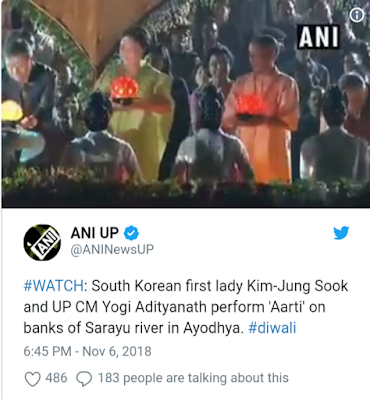 South Korea's first woman, has participated in the Diwali campaign in Ayodhya, Kim-jung sook. kim-jung sook visited India at the invitation of Prime Minister Narendra Modi.